George Routledge and sons. London. No Date. Circa 1870. Frontis and 7 plates by Gilbert. 8vo. (6.6 x 4.4 inches). Issued in Routledge's British Poets series. 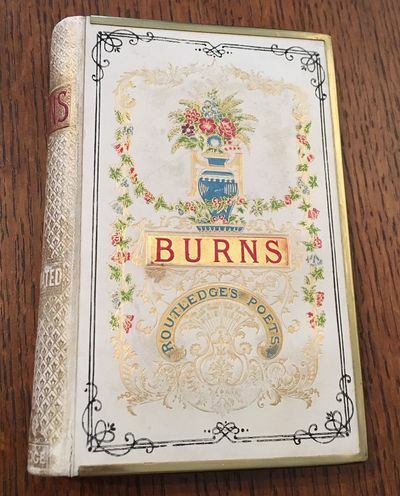 A fine copy in publishers delux binding of white roan leather spine with elaborate gilt decoration and red lettering. Boards are covered in white shell faux ivory with elaborate decorative gilt and multi coloured decorations stamped to the front panel. Both boards with brass edges. Pale yellow coated endpapers. All edges gilt. Aside from some minor rubbing to the top and bottom of the spine this is a very good example of a highly decorative Victorian Binding.